Sometimes, you have to step outside your comfort zone, Samantha Dorwin says. With the help of a SkillsUSA advisor – who just happens to be her mom – she was able to go far beyond that. Growing up, Dorwin would giggle when standing in front of a crowd and try to hide behind her hair to distance herself. “I was afraid to be vulnerable, so I tried to put up a wall and play it safe,” she says. 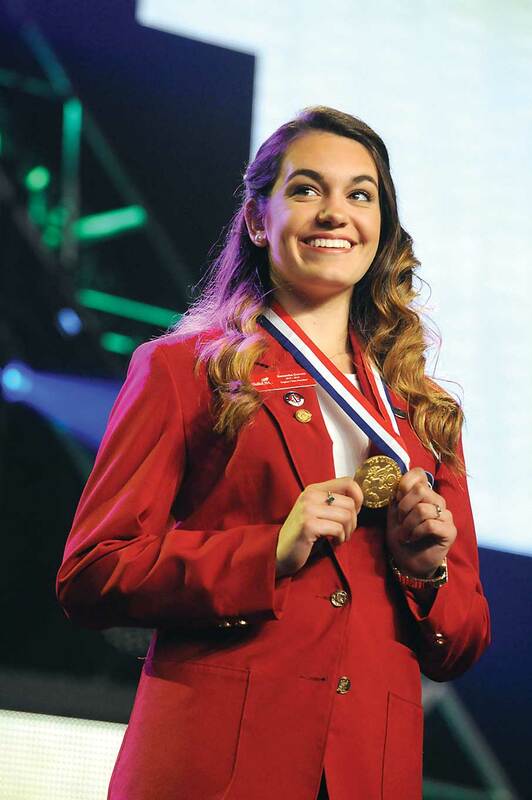 SkillsUSA changed that when she attended Charles H. McCann Technical High School in North Adams, Mass. “Once I experienced my first leadership conference, I was hooked,” she explains. Choosing a concentration was easy. Dorwin wanted to be an engineer, so she picked machining as her trade area. But being in a nontraditional occupational area for women, she ran into some obstacles. The negativity came from some of the male students, who felt she was not cut out to be a machinist simply because she was a girl. Dorwin continued to have success in SkillsUSA, too. Rising through the ranks of leadership positions, she was elected national Region 2 vice president for 2015-16. During that school year, Dorwin was invited to apply to be a U.S. Presidential Scholar. The program, which honors excellence in education, was being extended to career and technical students for the first time. 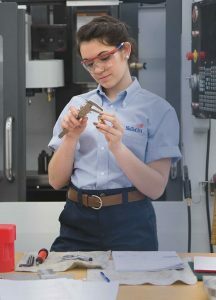 Her name was announced in May as one of four recipients from SkillsUSA. Dorwin went to Washington, D.C., in June to accept the award. The U.S. Department of Education, through its Office of Career, Technical and Adult Education, also invited her to speak at an event about gender equity in CTE with Secretary of Education John King.